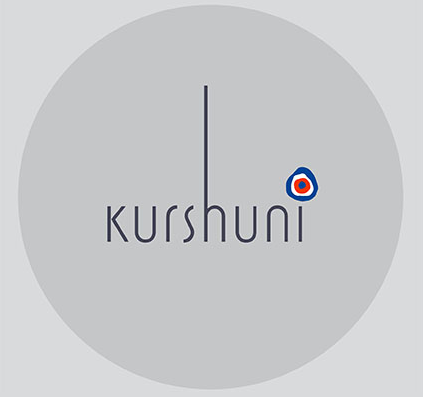 Kurshuni is a global lifestyle brand based in Istanbul Turkey. It is one of the leading providers in 925 sterling silver jewellery in Europe. Kurshuni is represented in over 20 countries such as Paris, Milan and Stockholm to name a few. All Kurshuni jewellery is handmade on site in Istanbul, sourcing only the best raw materials from Europe. No materials used in the manufacturing process are sourced from Far East countries. All products are of the highest European standards. Kurshuni currently use Éclat’s branded stones by Dalloz (one of the highest quality stones that are made in FRANCE). This brand will quickly become your go to favourite for jewellery. The jewellery collection from Charlotte Lebeck reflects her vision on fashion. Modern, unique, and edgy designs that make a statement. The jewellery is exclusively made using precious metals: oxidized sterling silver, 14k and 24k carat gold plated silver and 18k yellow gold. This new collection offers must-have pieces for every occasion and the perfect standout accent to both daywear and evening looks. Archibald Handmade jewellery is the brainchild of Parisian local Eleonore Lindroth. Archibald’s pieces are a blend of originality and simplicity. They are both feminie and delicate following the true Parisian aesthetic. Archibald understands today’s woman and her pieces transcend day to evening with ease. Parisian independent label BDM studio is hand made totally in France. Striking the perfect balance between edgy minimalism and decorative aesthetics. There delicate take on minimailsm will re invent the way you think about jewellery. Drawing deep-rooted significance from the beauty and cultures of exotic destinations around the globe, Shashi is earthy and raw yet undeniably sophisticated and elegant. We aim to combine the seemingly opposing elements of rugged and refined to reflect a natural feeling. Handcrafted in New York, Shashi’s chic, flirty bracelets, necklaces, earrings and rings are thoughtfully designed. Shashi uses materials ranging from gemstones, sterling silver, 14k plating ,crystals, cotton and silk fabrics ,custom leathers, creating a luxe, one-of-a-kind look.